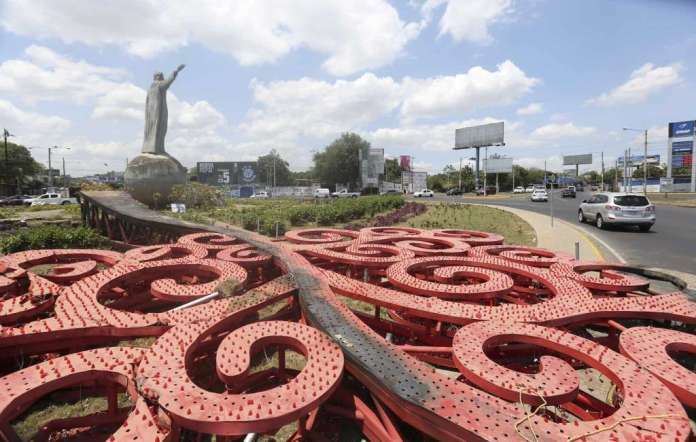 Nicaraguan protesters demanding President Daniel Ortega’s resignation have been taking their anger out on a pet project of his wife — giant steel sculptures scattered around Managua. The 17-meter (55 feet)-tall “Trees of Life” structures erected throughout the Nicaraguan capital were designed by Ortega’s wife and vice-president, Rosario Murillo. But following a wave of deadly protests that erupted last week over planned pension reforms, many in the opposition have come to see them as emblematic of the administration’s arrogance in one of Latin America’s poorest countries. “Knocking down the trees means overthrowing this government that is acting badly towards us,” said Vladimir, a student manning a barricade near the Polytechnic University, one of the flashpoints for anti-government rioting in the Central American country for almost a week. 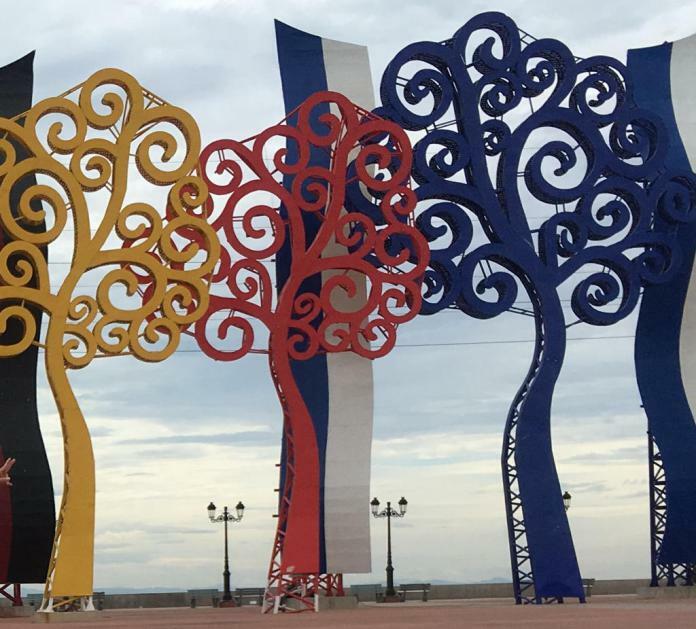 Five years ago, the Sandinista government ordered the construction of 150 giant steel “trees” in different areas around the capital, part of a new-age vision for the city by the 66-year-old Murillo, inspired by Gustav Klimt’s painting “The Tree of Life”. 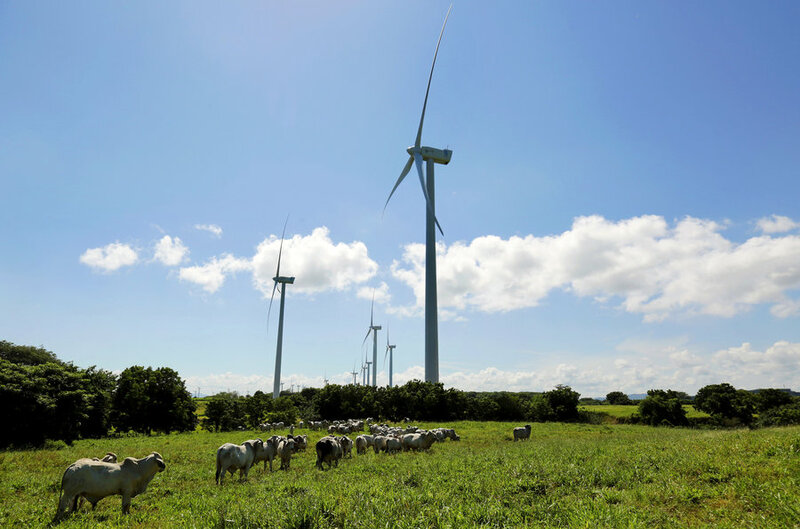 The trees, which many consider to be a whim of the first lady, have cost about three million dollars to construct and an additional million dollars in electricity bills annually. At least five of the structures were targeted and demolished by protesters during the unrest. 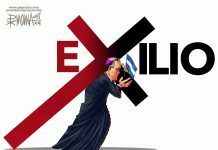 “It’s an expression that we Nicaraguans do not want this regime to remain in power,” said another young protester who identified himself as “El Flaco”. “They are pieces of metal valued at $25,000 which are worthless, do not produce oxygen, and are crap,” said Vladimir. “These trees symbolize the eccentric and esoteric mentality of Vice President Rosario Murillo, who is the personification of the government’s daily management, all authoritarianism and arrogance,” analyst Gabriel Alvarez told AFP. Murillo, a poet, has taken a hands-on role in her husband’s government since his Sandanista Front returned to power in 2007, and many refer to her as the real power in the Sandanista leadership. These trees “are a representation of the tyranny” of this government, “mainly by Murillo, as she is the one who makes the decisions,” said a protester who identified himself by the pseudonym “Parabelus”. “Being in a country as poor as Nicaragua, an adornment of that kind that costs about $25,000 is a lack of respect,” said a man working near the entrance to the university who wished to remain anonymous for fear of reprisals. At the university, where anti-government protesters have been holed up since last Thursday, youths armed with stones and slingshots watch passers-by with suspicion, after they were attacked on Sunday by pro-government rioters who sought to evict them by force. 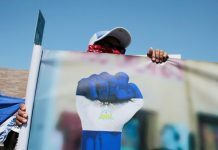 Ortega’s announcement late Sunday that he was scrapping the reform came too late to appease the protesters, angered by the death toll from a heavy-handed government crackdown. 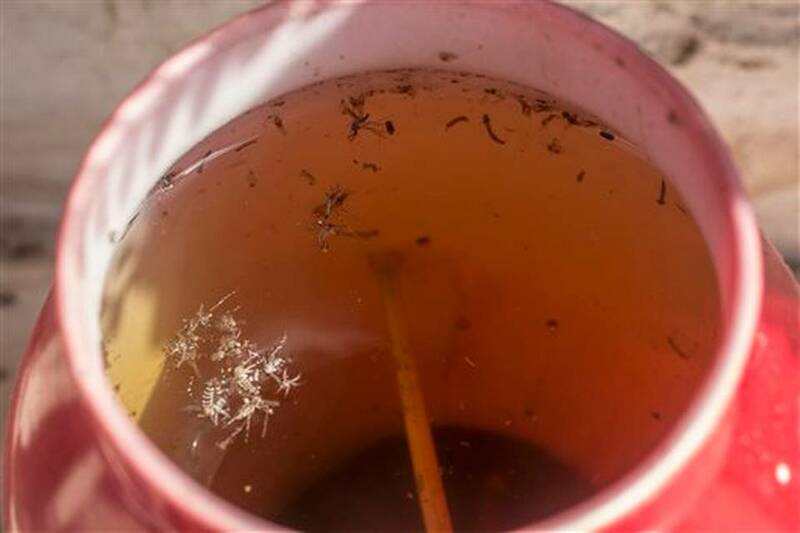 The government said the dead included at least two police officers. The targeting of Murillo’s sculptures recalls an incident in 1979 when a statue of former dictator Anastasio Somoza on a horse was torn down by triumphant Sandinista revolutionaries when they seized power.